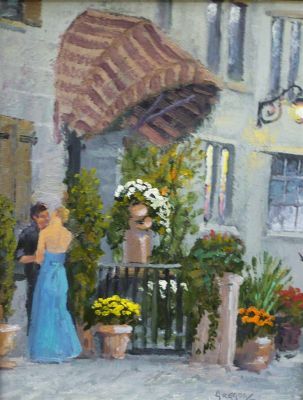 These works are part of a continuing series that Gregory has painted for years. 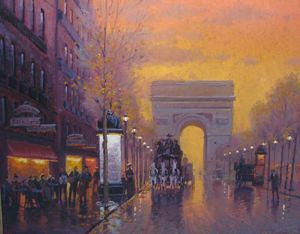 He was first inspired by the “Belle Epoc” street scene painters from paris. 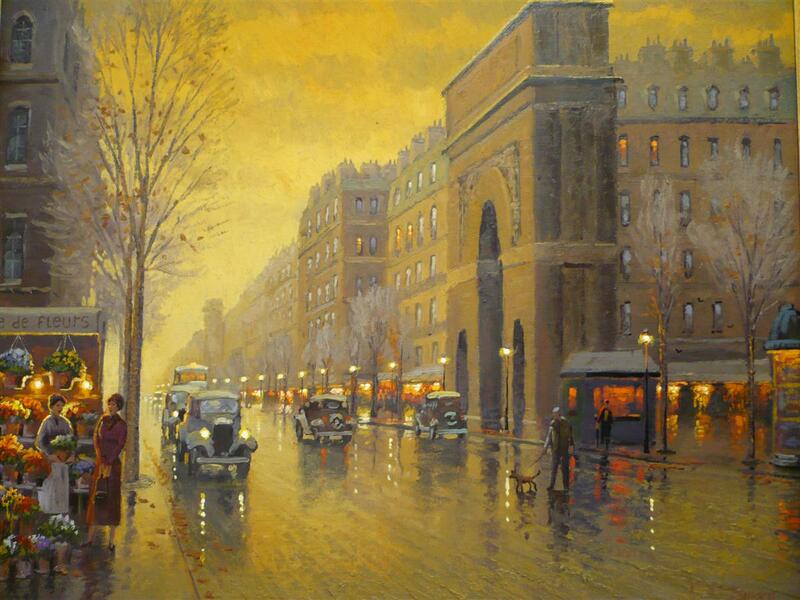 Most specifically was one who mastered conveying light in a painting. 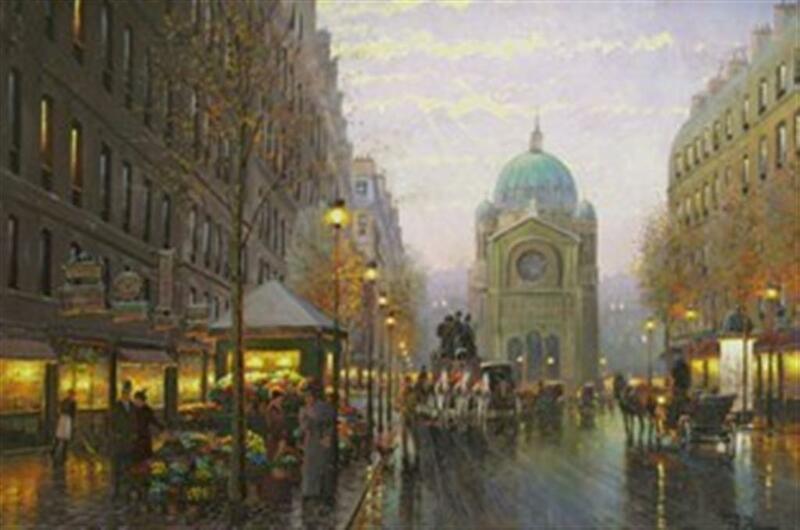 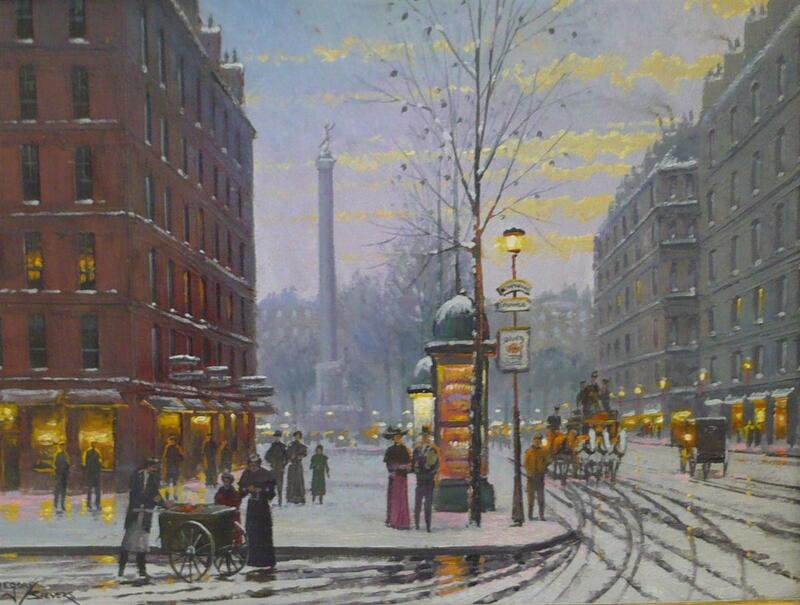 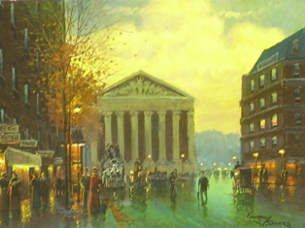 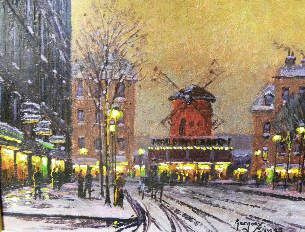 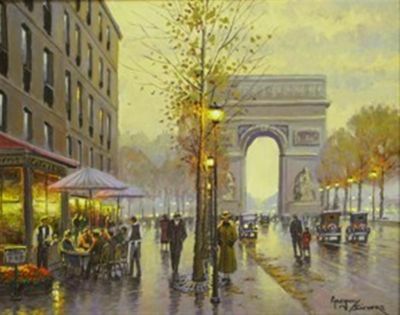 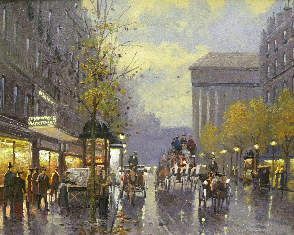 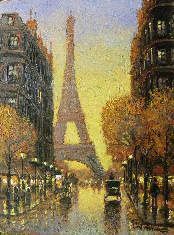 His name was Edouard Cortes. 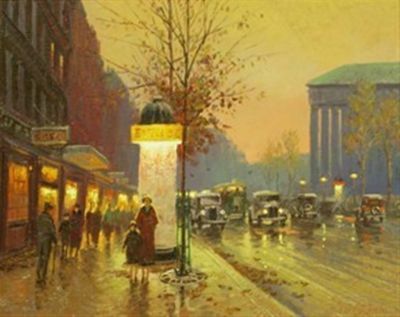 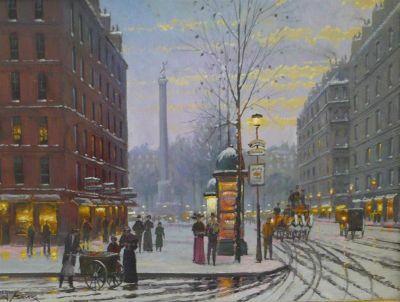 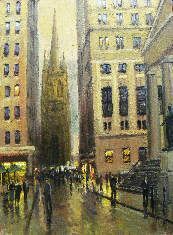 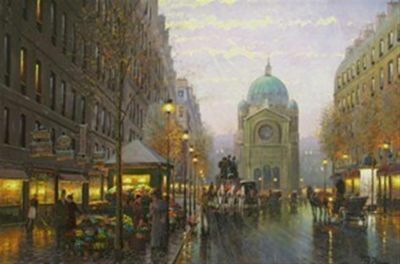 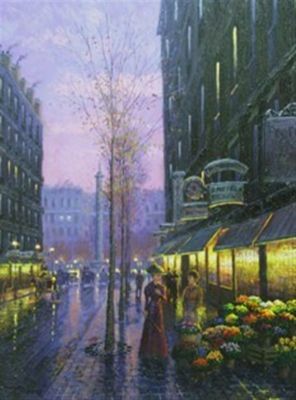 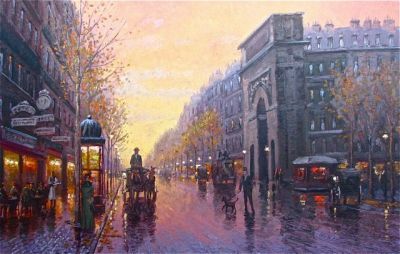 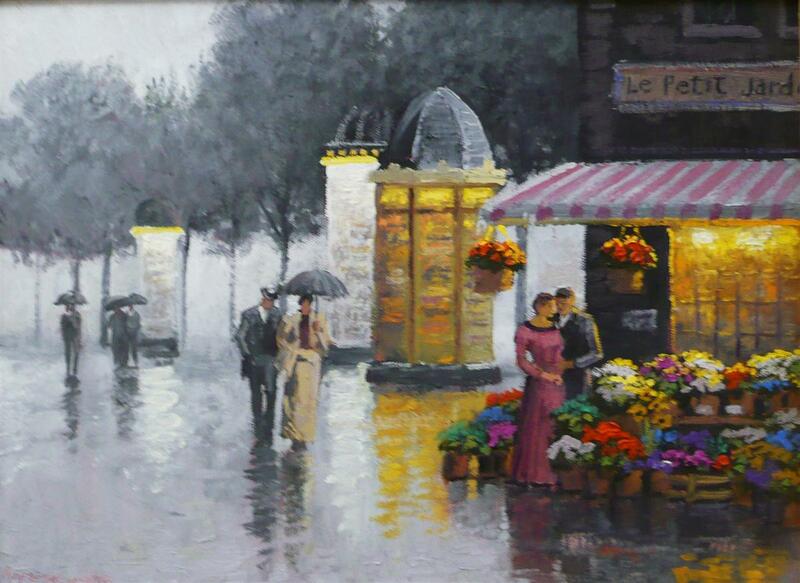 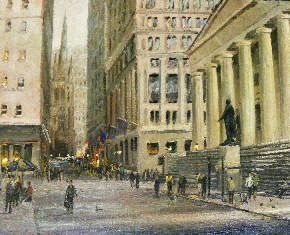 Gregory says; “One of the greatest challenges in painting is to truly capture a sense of light in a work.” Not just the lights but reflected light on wet streets, convey a romantic element that makes a street scene captivating on a deep and personal level.